A lot of classic American movies – from F.W. Murnau’s City Girl to Howard Hawks’ Scarface to Billy Wilder’s Some Like It Hot – take place either partially or entirely in Chicago but the majority of them were unfortunately shot on Hollywood studio backlots. 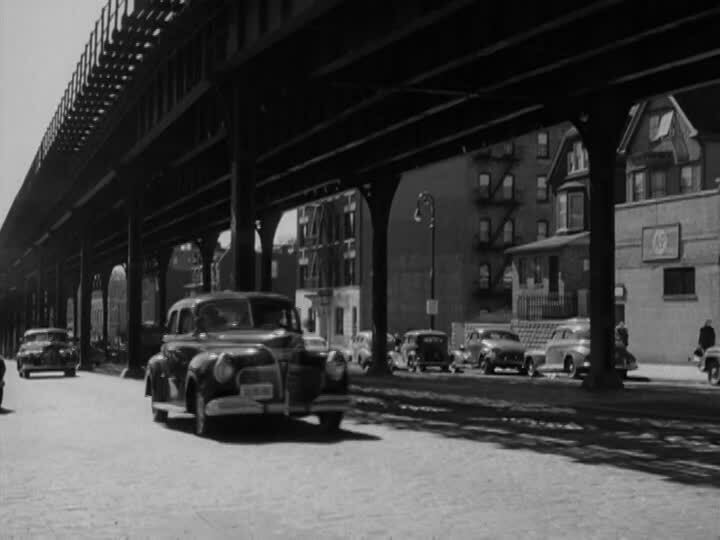 More often than not, filmmakers wanting to depict my fair city during Hollywood’s golden age had to settle for recreating the city’s Board of Trade, tenements, diners and outdoor ‘El’ Station entrances on elaborate sets. As I mentioned in an earlier post, motion picture production in Chicago did pick up significantly in the film noir boom years of the post-WWII era. 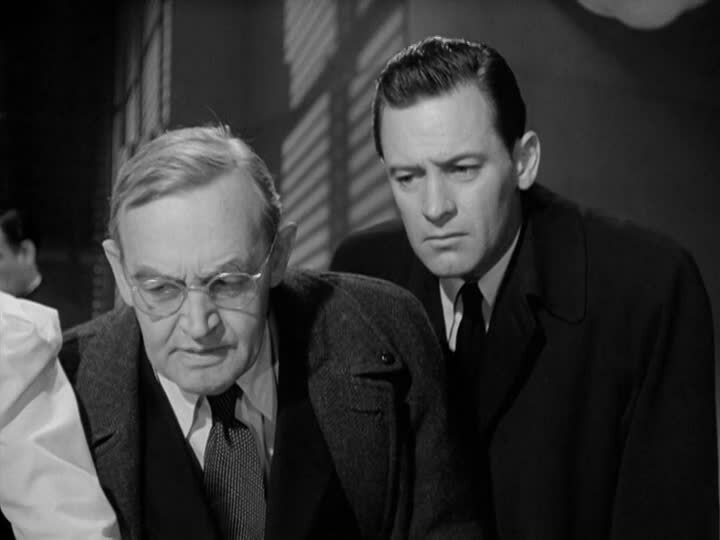 One terrific example that I recently stumbled across for the first time is Paramount’s Union Station from 1950, a tense little crime thriller starring the great duo of William Holden and Barry Fitzgerald. Although set in Chicago, most of it was shot in Hollywood with Los Angeles’ iconic Union Station standing in for the title location in the Windy City. (The film actually contains such a deft use of L.A. locations that it is prominently featured in Thom Andersen’s brilliant “gray market” documentary Los Angeles Plays Itself.) 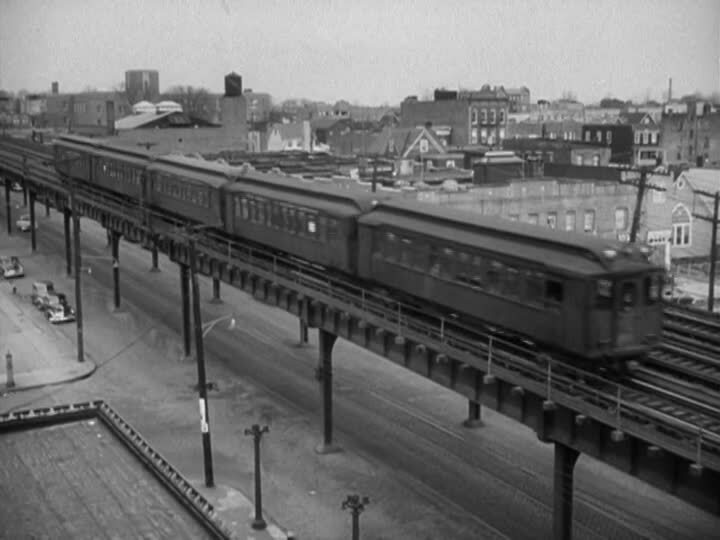 However, at least some prominent location work took place in Chicago; the movie’s first third features an exciting daylight chase between cops and kidnappers on the Chicago Transit Authority’s now-defunct Stockyard Branch Line and the the final action climax takes place in the Chicago Tunnel Company’s underground railroad tunnels. Anyone interested in seeing “old Chicago” on film can’t afford to pass up Union Station for these two scenes alone. Fortunately, there’s plenty else to recommend the movie too. The primary virtues of Union Station are its efficiency, tightness and speed. Directed by former ace cinematographer Rudolph Mate (who once upon a time was Carl Theodore Dreyer’s D.P. of choice), this noir gem is expertly shot and paced and, as a piece of storytelling, does not contain an ounce of flab. As a director, Mate may not have been a great artist but he was a very good craftsman and, God knows, Hollywood has always needed those too. Union Station starts on a train and it fittingly also moves like one: Joyce Willecombe (Nancy Olson), a secretary commuting home from work via rail, spies two suspicious-looking men, one of whom appears to be wearing a gun. Anticipating the CTA’s “If you see something, say something” ad campaign by about sixty years, Joyce reports her concern to a skeptical train conductor, who turns the matter over to railroad cop William Calhoun (Holden). 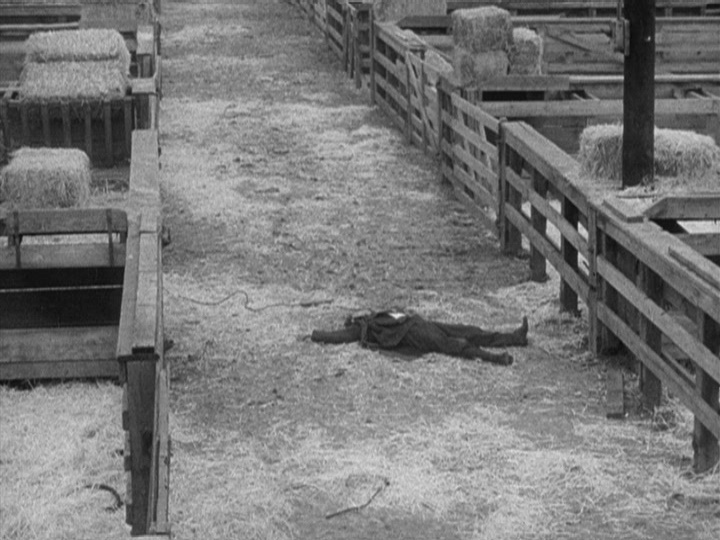 Calhoun also has misgivings but because he is clearly the best and most dedicated railroad cop on earth, he soon finds out that the suspicious men are at the center of a kidnapping plot involving the blind teenage daughter of Joyce’s boss, local millionaire Henry Murchison. Calhoun soon finds himself teaming up with a local cop named Inspector Donnelly (Fitzgerald) in order to apprehend the kidnappers and return the girl safely to her father – all within a briskly paced 80 minutes. Alfred Hitchcock famously said that a film was only as good as its villain and Union Station has a memorably nasty baddie at its core: Joe Beacom (Lyle Bettger), the lead kidnapper, is a sadist who takes delight in tormenting the terrified blind girl in his clutches and also has no qualms about shooting his own girlfriend (the great character actress Jan Sterling) when she gets in his way. But the cops in Union Station can be pretty nasty too; Calhoun and Donnelly recklessly break into one suspect’s apartment and, in order to get pressing information from another, completely disregard his civil liberties by threatening to throw him in front of an oncoming train – more than twenty years before Dirty Harry. 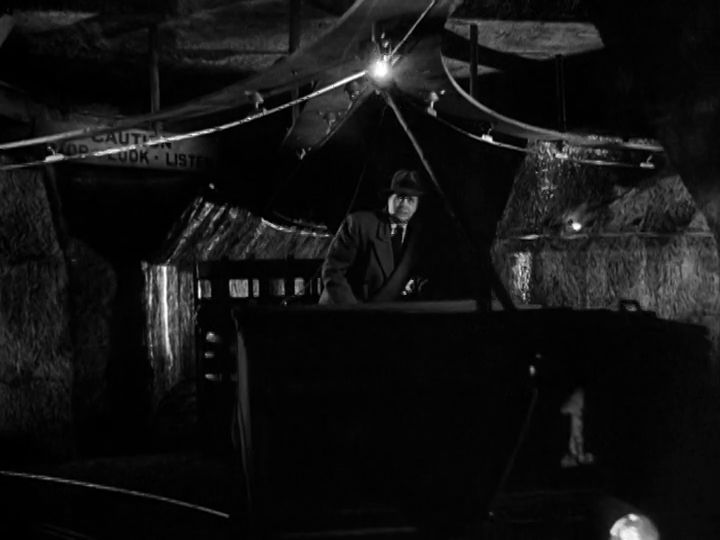 Through parallel editing, this allows director Mate to generate suspense about what will happen when these characters eventually do collide in the memorable underground tunnel climax. Fortunately, although Joyce is young and attractive and sticks around until the end of the film in order to help the police, there is no real sense that she and Calhoun are going get together romantically (as would unquestionably happen if the film were to be remade today). Union Station is too much of a work of termite art par excellence to allow itself to be saddled with a superfluous love subplot. There is, however, one scene where the movie slows down just long enough to allow us to get to know the lead characters a bit better. Calhoun and Donnelly retire to the latter’s home for a drink and conversation the night before the final showdown with Beacom. (Since Barry Fitzgerald was Hollywood’s favorite drunken leprechaun, such an alcoholic detour is pretty much a foregone conclusion from the film’s beginning.) As Donnelly adroitly prepares hot rum toddies, Calhoun informs him, “I’m a cop twenty four hours a day. 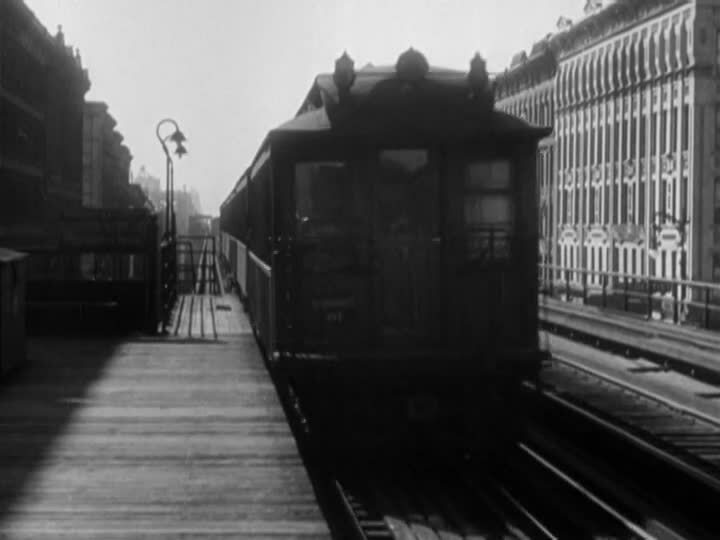 All I care about is my railroad station.” Donnelly’s sensible reply is, “A good cop has to be working full time but a man has to be careful he doesn’t become all cop.” It is a quiet, touching scene, the only one in the movie that is not there expressly to move the plot forward and yet somehow it makes the entire movie. 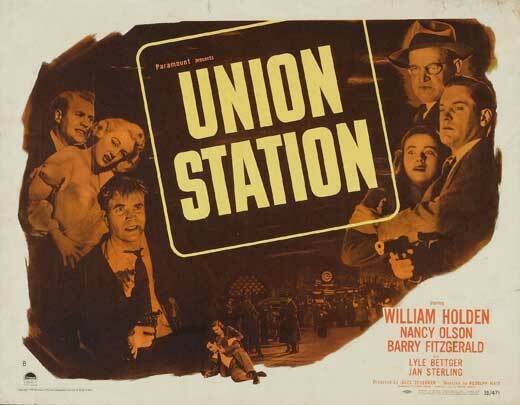 Union Station is available on DVD in a serviceable edition from Olive films. Thanks to David Hanley for bringing this “Chicago film” to my attention.